A life half lived is not a life at all but an existence. None of us have come to this place to just scrape by. In our hearts we want to experience life to the full; its rich tapestry of emotions. We want to brave the challenges and relish the joys – to know what it is to be a human who is truly alive. 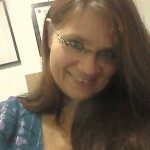 Author, healer, channel and Soulpreneur™ Stephanie J. 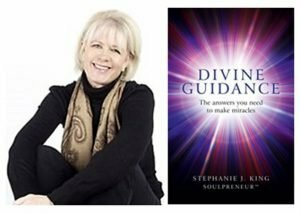 King reveals the answers you need to make miracles, to live the full life, in her popular book/divination tool Divine Guidance. While still in the realms of Spirit, before our time of birth, we had a plan. We saw how our life would be on Earth today. We knew what we would accomplish, our talents and strengths. We knew our weaknesses and our downfalls. We knew what we’d contribute, what we would encounter and we could change. We worked out a plan of action and we teamed with others along the way. Once incarnated we are aware of thoughts, our senses our wants and our needs, but few remember what is required to tap into their ‘soul agenda’, to see karma working out and to read the underlying factors that drive life and other people. If we could be a little more transparent with our intentions, thoughts and feelings, others would read us better and life would flourish. But often we are guarded, our mind is busy somewhere else. We project our inner world through expectation and presumption onto things that are unfolding around us. We colour and misinterpret much of what we are exposed to and we misread simple signs and often alter those we send out ourselves. Our master plan, long forgotten, collects dust while we frantically try to draw up another in the here and now, blighted by earthly/material distractions. Divine Guidance reminds you that your life is not by accident, but personal choice. It is the road map of the incarnate journey your soul is travelling. You can chop and change direction, rethink, re-choose, delay and alter all you wish, for you play the leading character role in your own life story. Nothing sits beyond your capability to achieve. You have the power and vital life force of this planet running through you, helping you to succeed and spurring you on. Nothing is set in stone before you personally make it so; in fact the, future is as pliable as plastic. It can shape shift, flex and change. It actually alters all the time, for every moment contains possibilities yet untapped. You are the activator of what is now and what will be, so it naturally falls to you to do this well. Divine Guidance will take you by the hand to steer you through your situation no matter what. A clear channel of communication, support and advice to help you achieve the best outcome at any moment, is ultimately what it offers. We work and link with life on many intricate levels, but only focus and act upon whatever occurs within the scope of present attention. Yet attention wanders frequently; it dwells on future and past, it’s prone to wander when bored or faced with repetition, worry or stress. Very rarely is it functioning and fully present here and now, plus what we take on board can sometimes belong to others with whom we mix. Understanding the bigger picture always offers an advantage to the situation or live task that’s playing out. This book demonstrates that you are a working channel for life to flow both to and from. In an ideal world all aspects work together in harmony and in sync for you have life’s Source and creativity at your disposal. Divine Guidance is designed to help you understand and then command this two-way process, by right of birth. Greater happiness, health, contentment, peace, awareness, hope, serenity and a heightened ability to give and receive unconditional love are just a few of the many benefits that await you from reading and working with Divine Guidance.